Those individuals within an organisation who are responsible for the conception and implementation of Six Sigma projects are assigned status in accordance with how familiar and experienced they are with the concepts, tools and techniques required. Six Sigma training comes in different levels—White Belt, Yellow Belt, Green Belt, Black Belt, Master Black Belt and Champion. Six Sigma Yellow belt is the first stage of Six Sigma training and indicates an understanding of the basic methodologies. Think your team could benefit from Six Sigma methodologies? Six Sigma is a cost-effective method used by many corporations to eliminate process defects and reduce wasted time, increase customer satisfaction and improve the business workflow. Six Sigma training is designed to help develop company employees into a stronger, more efficient workforce. There are no prerequisites to Yellow Belt training. People who would like a more thorough introduction to Six Sigma and see the techniques it teaches as potentially constructive and profitable for their business will benefit from undergoing Yellow Belt training. A Yellow Belt often participates as a team member and acts as a supporter to the Six Sigma project leader. 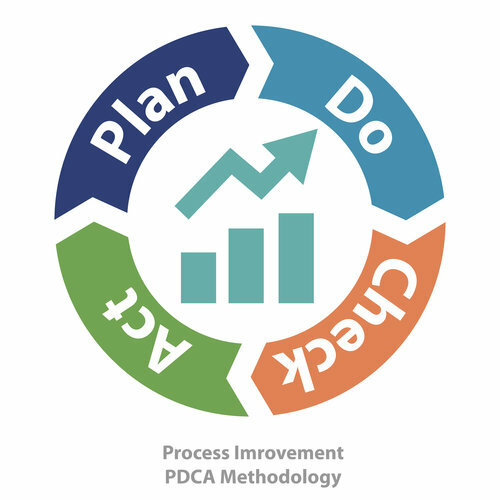 A Yellow Belt can also act as a Subject Matter Expert (SME) and is responsible for handling smaller process improvement projects using the PDCA (Plan, Do, Check, and Act) or the Deming Wheel methodology. Yellow Belt training can be held at your company premises or in a training centre. You can even take the course online. A training session typically lasts for two to three days. The training includes many exercises and simulations that demonstrate the usage of necessary statistical tools and techniques to eliminate business problems. Furthermore, the training is highly interactive. After you finish the course, you will receive a Six Sigma Yellow Belt Certificate. What are the Benefits of Six Sigma Yellow Belt Training? Who Should Complete Six Sigma Yellow Belt Training? There is no single regulatory body which oversees and regulates Six Sigma training, so Yellow Belt definitions and course contents vary between different training companies. Some training companies offer a one day course to merely acquaint the trainee with the main Six Sigma concepts and make them aware of the various tools and techniques used. Other companies offer a Yellow Belt course which gives a more in depth study of the various Six Sigma project methods with case studies to illustrate them and which teaches some of the non-statistical tools and techniques. These courses can last up to a week in duration. It is of huge importance that you study the course outlines of different providers in detail to make sure you’re getting the course that you want or need. If you’re using the Yellow Belt course as a stepping stone to Green Belt and Black Belt levels then a one day introductory course will be of little value. Likewise, if you’re about to start working with a company that uses Six Sigma methodologies and just need to know how it works, then a one day course could be the ideal solution. Some training providers offer ‘certification’ and some don’t but in general there is no widely recognised Six Sigma Yellow Belt qualification - it’s an introduction to Six Sigma that provides the grounding for going on to a recognised Green Belt or Black Belt level of understanding. Approved Index offers a free and fast way to compare certified Six Sigma Yellow Belt training quotes from leading UK companies. Just complete the form at the top of the page to receive free, no-obligation quotes from up to 4 Six Sigma Yellow Belt training providers today. Are you ready to start your Six Sigma Yellow Belt course?